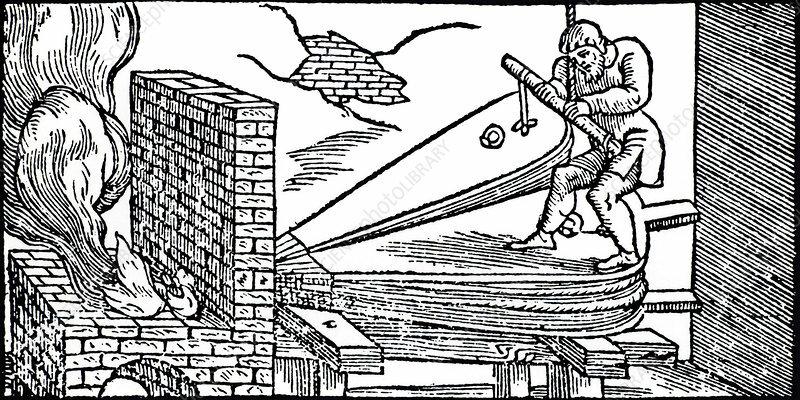 Man operating bellows to increase the draught to a furnace. From De la pirotechnia by Vannoccio Biringuccio (Venice, 1540). Metallurgy. Pneumatics.